Turkish aid agencies on Wednesday opened a school for refugees in the northwestern Syrian province of Idlib. The IHH charity group has been helping war victims since the beginning of the Syrian civil war. A primary school with 10 classrooms to provide education for 300 children living in refugee camps. The school -- built in cooperation with the Istanbul-based Humanitarian Relief Foundation (IHH) and Bursa-based Fetihder foundation -- will provide education to 300 children living in refugee camps. The Muhammed Musab primary in the Kammunah region of rural Idlib has 10 classrooms and 17 teaching staff. Şuayip Altun, IHH's field coordinator in Idlib, told Anadolu Agency that they will continue to support educational activities in Syria. 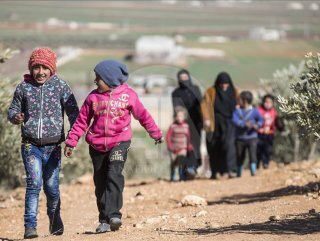 "Children who will shape the future of Syria cannot receive proper education in the country," Altun said. 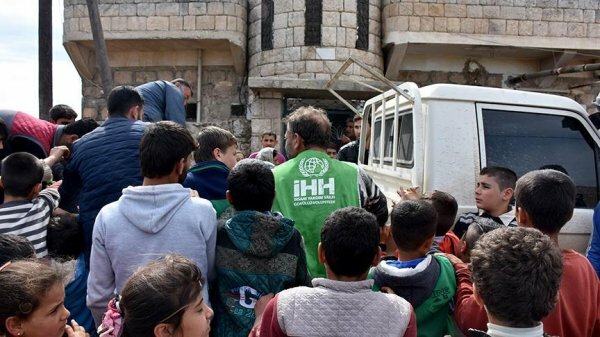 Altun added that IHH also repairs schools destroyed by the Bashar al-Assad regime. Speaking at the school's opening ceremony, Yılmaz Bulat, head of the Fetihder association, said that lots of children were deprived of educational opportunities due to the war in Syria. He noted that Fetihder continues its relief works in Syria in many areas including food, shelter, health and education. Bulat also said the association will open another school and orphanage in the coming days.